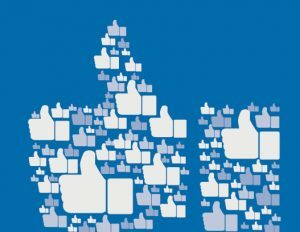 Joe Harrison, Development Worker for Northamptonshire Battalion, shares some ideas on how groups can raise their profile using Facebook and offers support for groups looking to increase engagement from their community and explore creating a paid advert. Social media sites such as Facebook are a brilliant way for BB Companies to raise their profile and there are many good examples of this already happening up and down the country. These pages act as a shop window to the world and used effectively can increase awareness, aid communications and help to interact with the community around us. The latest stats suggest that the average person will spend around 30 minutes a day scrolling through Facebook. 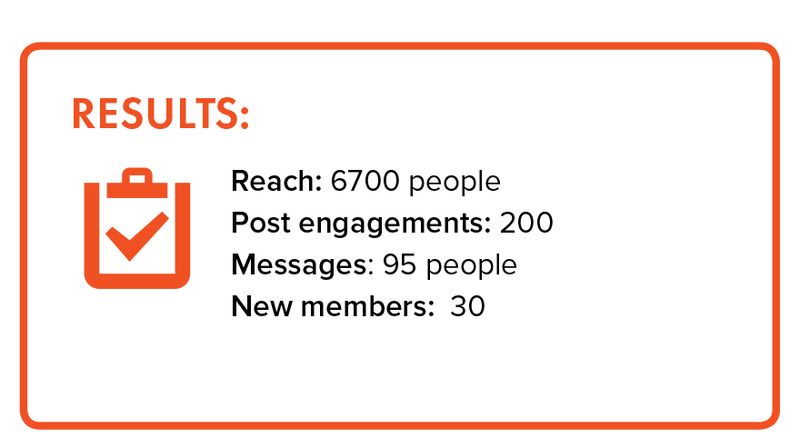 If BB Companies can get themselves on people’s newsfeeds, then there is a huge potential audience out there ready to hear about what we get up to and how we are making a positive difference in our communities. Below are some tips and suggestions to help you get the most from your Facebook page. Before looking at raising your profile and encouraging new interactions with your page, it’s worth taking a moment to ensure the page is clear, attractive and sells the great work that your group does. Make sure you regularly use your page to share what you’ve been up to. This helps to create a catalogue of images and news that will help any interested parents clearly see what your group is about and what sort of activities you do. Over time these posts effectively become your brochure for interested new members, showing them what they can do if they join. Set yourselves a challenge to post after each and every activity you do. e famous saying goes, ‘A picture paints a thousand words’, and this is true of social media. Posts with photos encourage far more interaction and help to show users what you have been doing. Long chunks of text are often scrolled by without people reading it and taking in the information. When using photos make sure they are bright, clear and of a good quality. 2. It is important that before posting photos/videos on social media that you are aware of the photo consent for all members. Remember that the Brigade has recently revised how we go about obtaining photo consent for members and that there are now three clear options when it comes to taking photos/videos during BB activities. Photo Consent is obtained through completing the Joining Form or Annual Information Form and can also be obtained/updated by Parents/Carers through My.BB. Your Facebook page is there for you to shout to the world about all the great things your young people have been up to. It’s therefore not really the place to complain about the latest low attendance at a parade service or how bad the parking is near your meeting place. If your page gives off a positive vibe, then this will help your community see you in that same light. Increase interaction and get yourselves noticed! It’s now time to start increasing interaction through engaging parents, supporters and other Pages. Facebook uses technology which identifies posts that people are engaging with and shares them with others who may be interested. Therefore, creating regular posts on your page which your current followers will like, comment and interact with, will help your posts reach a wider audience and hopefully attract the attention of parents of other young people in the area. One of the most effective ways for Companies to promote themselves has always been through word of mouth. Often this has been via parents talking to other parents at the school gate. Sites like Facebook can be used to build on this and encourage parents of your young people to share any recruitments drives you promote online. Next time you create a post advertising spaces for young people to join your group, actively encourage your page followers to share the post with their friends, thus helping to reach more people and spread your message. Most communities will have Facebook pages set up that share information for the area you live in. These community pages are often used to promote local businesses, groups, activities and events. Try and use these pages to help spread the message about your Company. This doesn’t just have to be when you are trying to attract new members. If you’ve been doing something positive in your community (litter pick, visit to care home, foodbank collection) then share these stories with those pages also. It’s good to keep up your profile throughout the year. If you have a small budget for advertising your BB Company, then using Facebook’s ‘Boost Post’ function can be a really effective way of attracting new members. Create an image which sells your Company and decide what text you want to add with it. Remember this needs to grab people’s attention so make sure both the image and the message is attractive, but it is also to the point. Once you are happy, post the image to your page like you normally would with any post you share. For paid Facebook adverts, any text used on the image must not cover more than 20% of the total area. To start the boost process, click on the blue box under the post which says ‘boost’. Using the options on the left hand of your screen, you can now choose which demographics you wish to target. To do this select the ‘People you choose through targeting’ option. From here you can target different genders, age groups, and locations. For location, Facebook gives you the option to ‘drop a pin’ on your meeting place and the choose how wide a radius from that pin you wish to advertise. Only people within that radius will then pick up the advert, helping to ensure your money is used to target only the people who live local to your group. Finally, you will be asked for your budget for the post and how long you wish to boost the post for. Facebook will then ensure your boosted post spreads out the cost evenly for the duration of time you have selected. You don’t have to spend a lot to see great results! Try it out by starting with just £10-£20. When you’re ready, boost the post. This then goes to Facebook to review before going live. During the duration of your boosted post, keep an eye on how your post is performing. You can always add more money to the post or can cel the boost altogether, depending on how you feel it is performing. During the boosted period it is hoped your page will receive messages asking for information. Make sure you have somebody who will respond to these messages and keep a track of any new members who may be joining over the next few weeks. 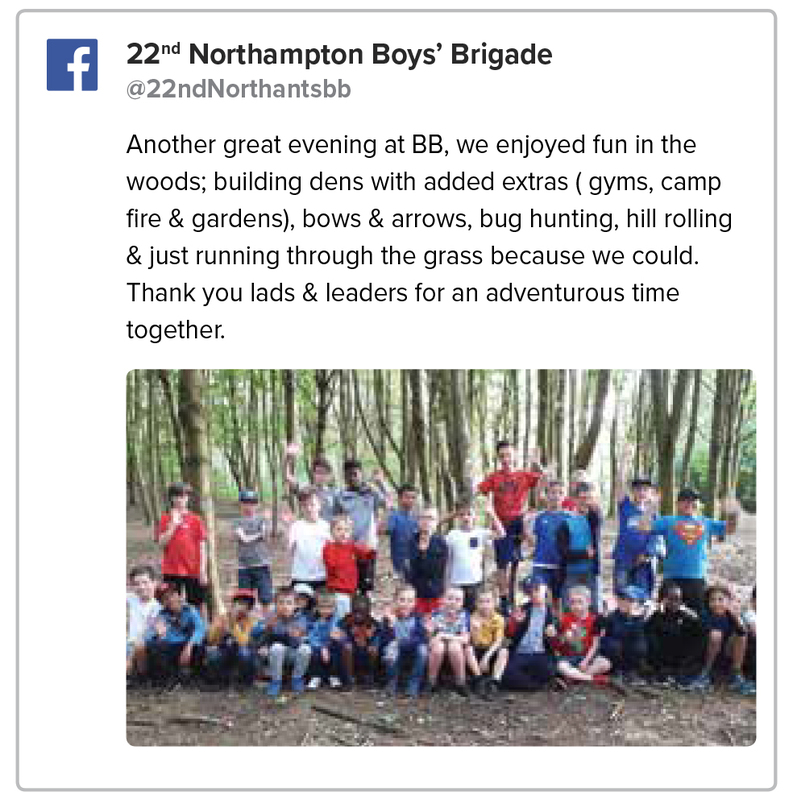 In September 2018, The Boys’ Brigade in Northamptonshire used a paid advert with the aim of raising awareness and attracting new members. The boosted post was a great success in recruiting some 30 new members across Companies in Northamptonshire. Let us know how you get on with raising the profile of your Company through Facebook, email newsdesk@boys-brigade.org.uk.